Create circuits using batteries, light bulbs, switches, fuses, and a variety of materials. Examine series and parallel circuits, conductors and insulators, and the effects of battery voltage. Thousands of different circuits can be built with this Gizmo. Determine how to light a lightbulb with a battery and wires. Classify materials as conductors or insulators. Compare the properties of series circuits and parallel circuits. Observe the effect of voltage on current. Explain how a fuse can prevent short circuits. Great foldable to use in your science notebook to investigate circuits, insulators and conductors. Print... (more) on both side of paper, each page makes 2 foldables. If using the Circuit Builder Gizmo for whole class instruction, you may want to provide copies of the ins... (more)ulator vs. conductor chart rather than printing the Activity A student exploration sheet. This CER worksheet allows students to consider the differences between the different types of circuits. ... (more)They will make a claim to answer the question, "Which type of circuit represents the kind of circuits that run the appliances in your house?" and support it with evidence and reasoning. this game is so AWESOME!!!! Fun for experimenting and exploring. This is a fabulous resource for learning the basics about circuits. 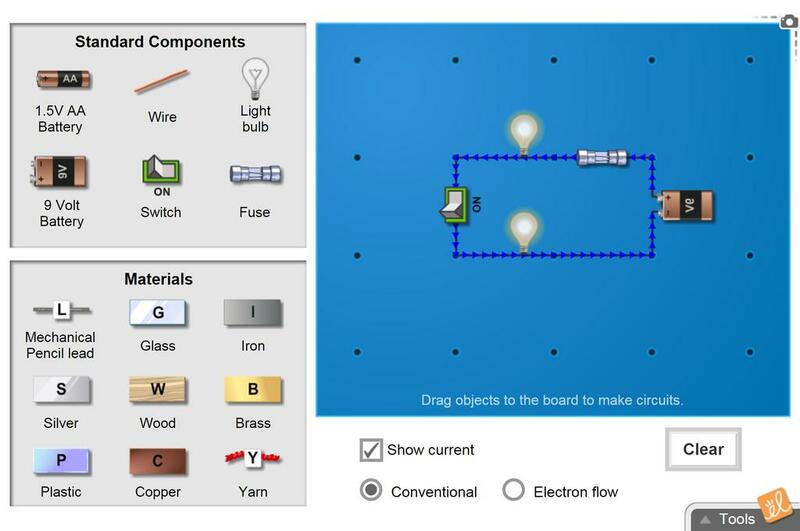 My students love Circuit Builder, and I love how it extends learning. Great gizmo! I use it every year. Easy to use with 4th grade students. Great review in preparation for a test. This is a great beginning lesson to learn about circuits! Students enjoyed building different circuits!! A wonderful gizmo to start students asking the "what if" questions about circuits - before they blow out the bulbs! This is a great lesson to review conepts of conductors-insulators and Parallel-series circuits. My students learned a lot from this Gizmos. They were able to apply their knowledge to hands on experiments.